Laois boss John Sugrue insists the occasion of a Leinster final has lost none of its lustre for the county despite the daunting task that awaits them as they take on Jim Gavin's all-conquering Dublin in Croke Park on Sunday. The four-in-a-row-chasing Dubs have been priced as short as 1/100 to see off Sugrue's Laois, who started their season in Division 4 of the league. But despite the scale of the task they face, Kerry native Sugrue (right) is delighted his team and the county's supporters will get to sample the province's biggest day in football for the first time since 2007. "It's 11 years since Laois played in one so I don't think that takes the shine of it," said the O'Moore manager. "Laois people have followed in great numbers this year and we are going to prepare appropriately for it and hopefully Laois people will turn up in appropriate numbers which I have no doubt they will. Hopefully Laois as a county will give it a crack and see where we get to." 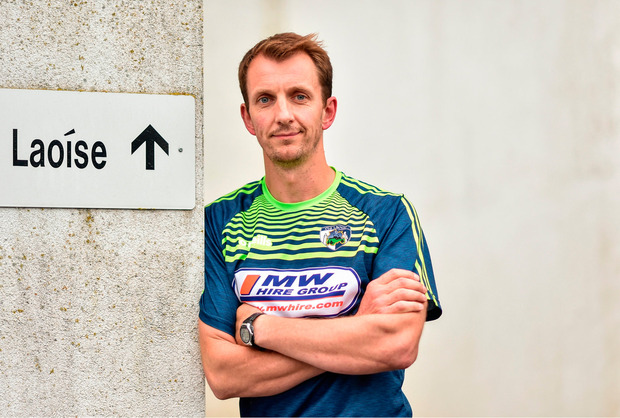 Sugrue refused to be drawn on the fact that his side need to find just one more win to reach the 'Super 8s', something that seemed more than fanciful when the county slipped into Division 4 last year. And while they claimed silverware in the basement division, Sugrue insists that only championship form shows real progress. "We had to get out of May in the championship to make progress as far as I was concerned. We were in Division 4 and you can't say we made progress by just getting out of Division 4. They got relegated the year before and the team that got relegated are always going to be competitive in Division 4 so you can't say you made progress. "We had to get out of May and we are into June and are in the final and we have earned that right. People will say what about the various other teams ahead of us in the league but in Leinster they are not there. "And we have earned the right to be there. If we keep the heads down and bring to the table what we can bring to the table then let's see where it gets us." And despite facing into one of the best teams the game has seen, Sugrue insists their approach won't change from the one that has served them well to this point. "No, it sounds banal and boring but we have to concentrate on the game. It's a 70-minute unit and how do we go out and approach the game and where do we go on the pitch and what do we do in certain areas of the pitch and that's what we have to concentrate on," he added. "If we put in front of them and that's our job to put in front of them a programme of playing that game and see can they navigate their way through it that's what we have to do. "There is no point getting caught playing the occasion, it's another game, 70 minutes in Croke Park, we've been there twice already this year. We know the routine of going in there and know the routine of warm-ups and going on the field. The occasion is bigger but the white lines aren't going to be moved out or in or anything like that so we have to concentrate on the game."